I wonder whether you'll reach negative time at some point. Something like not being afraid of being rejected in advance. whoa that is so true. 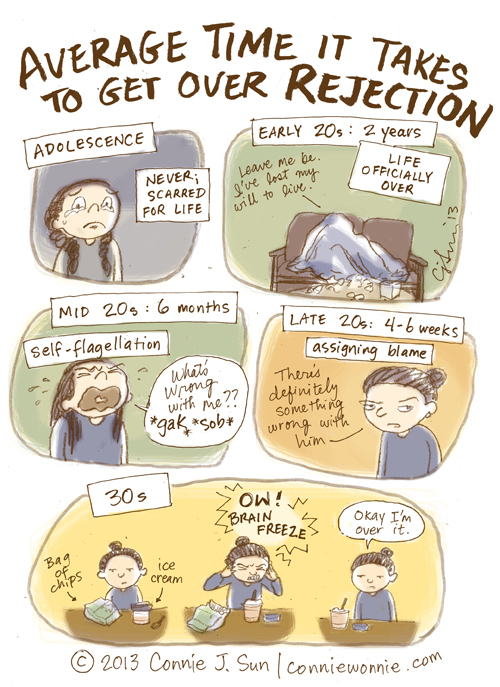 i think by mid to late 30s you are the one who starts rejecting people. Ha, ha. Isn't this the truth?